The MindFind Series features idea & experience-sharing videos relevant to the recruitment and retention of human capital. The QualiFind Group proudly announces the launch of a new series of informative idea and experience-sharing videos produced around a broad range of topics related to talent acquisition and retention, organizational development and cultural awareness themes. The video series can be accessed on YouTube via The MindFind Series channel – http://www.youtube.com/mindfind . From the YouTube channel, individual videos from The MindFind Series can be shared through various social media platforms and The QualiFind Group’s website. As of February 26th, there are 10 videos in the channel that include tips on assessing candidates, organizational diversity and cultural concepts. The broader idea-sharing – TEDTalks has served as inspiration for The MindFind Series. While TEDTalks has independent experts speaking on a far broader range of topics, The MindFind Series will be much more focused on ideas and knowledge relevant to human capital and particularly relevant to the US and Latin American market. 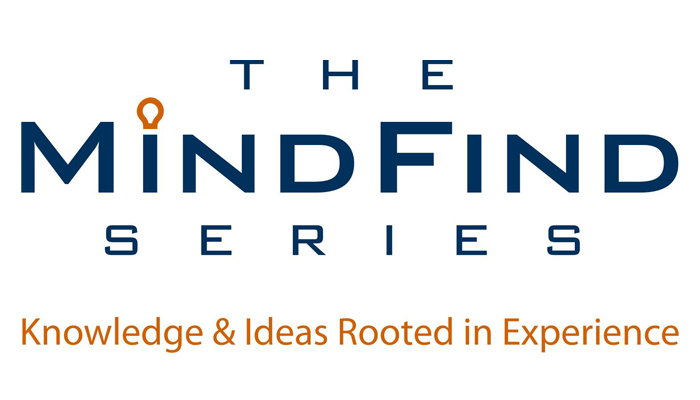 Presenters featured in The MindFind Series will be industry leaders and subject matter experts that can share their own unique perspectives that can serve to benefit hiring managers, candidates and stakeholders in the recruitment, retention and organizational development function. Ideas and perspectives are being solicited for inclusion in The MindFind Series. We are seeking highly experienced leaders and managers that can contribute an idea, opinion or perspective that can be captured in a video, preferably of less than 3 minutes in length. Let’s discuss your idea! Please contact me (see below) to discuss if your idea fits within the parameters we have established. If your contribution is approved, The QualiFind Group will arrange for your video to be produced at no cost or expense to you. The MindFind Series will not include advertisement or the promotion of any business, aside from featuring the subject matter expert. The MindFind Series is about the sharing of ideas, perspectives and experience that can be useful for stakeholders. It is not a “How-to” platform. Topic ideas must be relevant to the stated themes and must be unique enough in perspective to expand beyond common knowledge. Carlos Acosta at: cacosta@qualifindgroup.com or (619) 240-2638 for more information. Warren Carter at: wcarter@qualifindgroup.com or (619) 921-1795 and (770) 350-2629 for more information. The QualiFind Group is a recruiting and executive search firm focused on providing talent acquisition and consulting services to organizations in the US and Mexico. Headquartered in Chula Vista, California, with US branch offices in Atlanta, St. Louis, and Austin and Latin American branch offices in Mexico City, Guadalajara, Tijuana, and Panama City. You can visit The QualiFind Group online at: http://www.qualifindgroup.com.